Let me take you on a journey down memory lane……to the olden days…..when your parents had a camera – a film camera – and after each holiday, they would trot down to the camera shop (or later, Boots or Snappy Snaps) with the film canister held hotly in their mitts. It would take days to process and eventually, you could all sit down as a family and flick through the sepia toned 6x4 prints from that glorious holiday, skipping over the few out of focus ones and those where the flash didn’t go off! 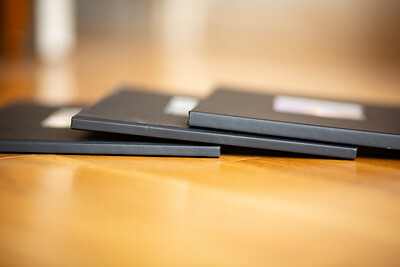 Then maybe some families were a bit more organized and put the best ones in an album, and some others would chuck them in The Draw where they would sit, unloved and forgotten. Ahhhhh, happy memories. Fast forward to today, and who has a camera phone FULL of precious images of your newborn, your pre-schooler, your going-off-to-school-for-the-first-timer....your teenager, your parents, maybe even your GRANDPARENTS? Now, be honest….have you ever printed any of those images? No? And, until a couple of years ago, I was just the same. But I love these precious moments in time, captured as a second thought and left to languish in digital limbo. So I decided that I was going to make sure that my children would be able to look back on their childhoods as I am able to look back on mine and remember the wonderful experiences; the trips, picnics, incidental moments and big milestones that my mum captured for me. A couple of years ago I set myself a little project. Every year, once Christmas and New Year are done and it's that dead time when it's miserable outside and all the decorations have come down, I sit down to design a family photo book; an album, a pictorial collection of all the memories which we have amassed throughout the whole of the previous year. 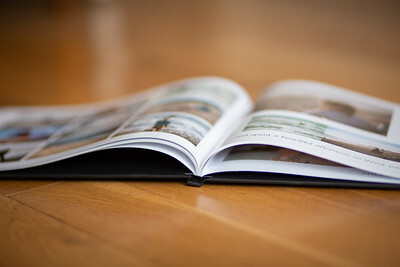 There are plenty of companies out there who offer photo books. I happen to use Photobox, but Snapfish, Bonus Print, Jessops all do them too. And the good thing is that it's not an arduous process; about every 3 or 4 months, I upload all the images I have taken over that period. 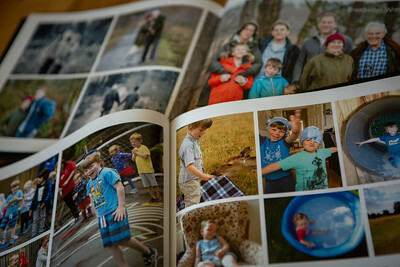 Then at the end of the year I can simply click on the option to automatically generate a photo book from my images. I tend to fiddle the order and size of the pictures, add some captions, and there are options to add templates and choose the colour of the book, et voila! Your photo book is done. Children grow and change so quickly. Those school trousers my 7 year old is wearing have suddenly become a tad on the short side! It is a constant wonder how they keep growing right in front of our eyes and I worry that if I don't pause every now and then, to look back and take stock, they'll be all grown up and leaving home before I've had a chance to take a breath! 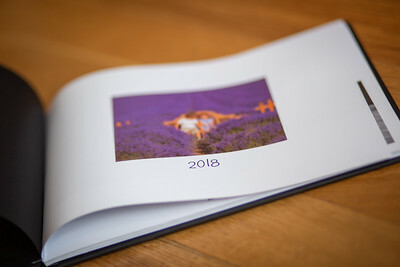 So, this year, set yourself a New Years Resolution (it's never too late); don't let those pictures languish on your mobile or on your camera - get them printed, get them into the light and get them into your lives to enjoy and cherish! 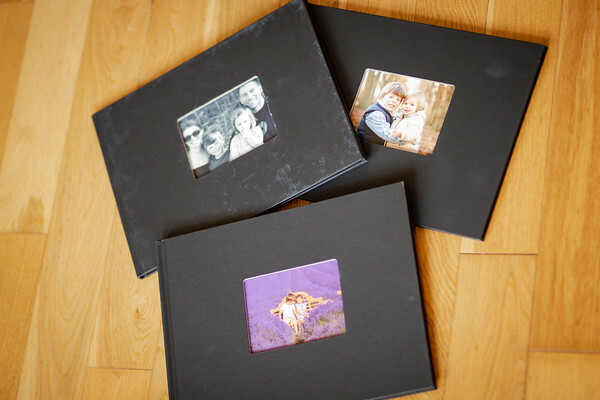 AND, until midnight on Monday 21st January 2019, Photobox are offering 30% off all orders so now is the perfect time to get your images printed. 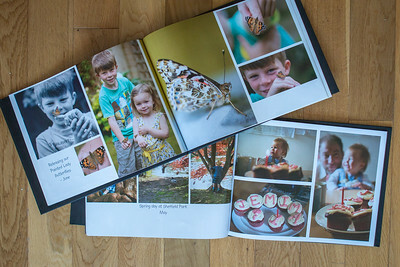 Plus, for new customers, there is a free "Little Moments Book" when you click here (and I get an account credit too!! ).